Even though students are assigned to a version of the NNAT3 test based upon their current grade level, scoring is done by age. Children who are entering or are currently enrolled in kindergarten will complete the Level A exam. Due to the child’s young age, not all question types are included on this form of the exam. Your child can expect to see “pattern completion” as well as “reasoning by analogy” questions. Many parents may be wondering whether their pre-kindergarten or kindergarten student is expected to use a bubble sheet to record his responses. The answer is no. Typically, children will begin bubbling in their own answers once they reach the first or second grade. A mastery of pencil grip and visual-spatial abilities are necessary before a child can complete this step. It is always recommended that the child complete the lesson on bubble sheets, as a means of practice and early exposure for future testing. Below are several sample questions that are intended for the kindergarten level. Each practice question will reflect a specific category of questions that your child will come across. What abilities will be tested and what will the questions look like? Parent say to your child: Look at the pattern on top. A piece has been taken out of it. 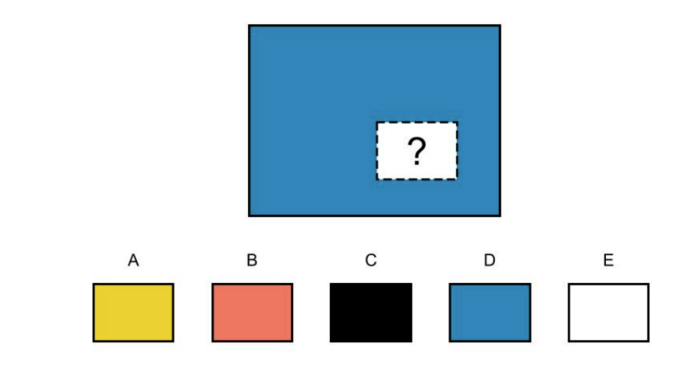 Choose the piece below the pattern that goes where the question mark is in order to complete the pattern. Tip: On these questions your child will get 0 points for missing a question and 0 points for not answering a question- so it is always worth it to take a guess. Teach your child to narrow down the answer choices by eliminating answers that are clearly wrong. Parent say to your child: Look at the figures on top. They go together in some way. 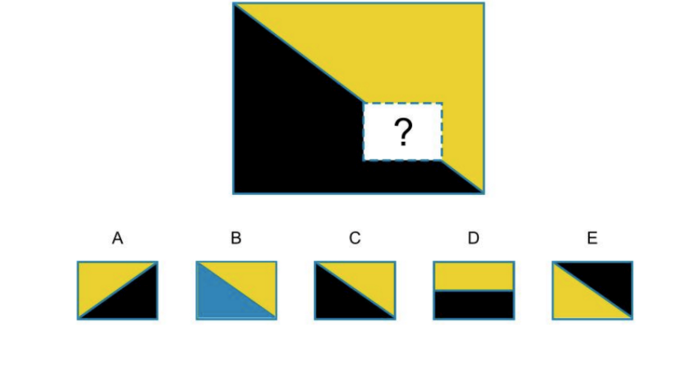 Choose a figure from the answer row that goes with the figure(s) on the bottom the same way the figures on top go together.